Are you interested in weather patterns but frequently find yourself frustrated by the lack of precise data for your home? With this fantastic project written by SuperHouse presenter Jonathan Oxer you don’t need to rely on the national weather service anymore. The weather station receiver allows you to build your own personal weather station for your home or office. The weather station consists of an external sensor system that transmits data to a display unit over a 433MHz transmitter. 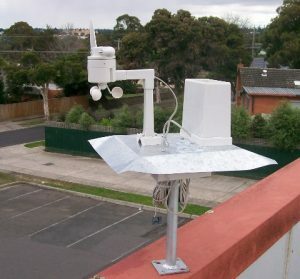 From a home automation perspective, having your own weather station provides a valuable source of data which can be used for any number of purposes. You could automate your heating and air conditioning, or even monitor its effectiveness by making a comparison between internal and external temperatures. 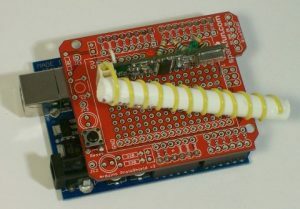 To get started creating your own weather station check out Practical Arduino. If you are looking for a 433MHz receiver, SuperHouse Automation recommends the Freetronics receiver shield. To find out more check out the following link. Have an idea for a project you would like us to feature? The team at SuperHouse Automation would love to know! Tell us about it in the comments section below or on Facebook and Twitter.